Showing results for tags 'family roleplay'. Hello! I'm currently looking for a new family. Looking for role players only! Currently I am a single mother of one teenage daughter, we have our own home together and it's still being furnished/put together. I'm really in need of a husband, a younger daughter around the age of 3-5 years old and a sister. I want to create a loving, even crazy at times family! I'm extremely understanding, patient and I will give you the love that you need. I do have a few requirements though, so I hope you understand! Requirements: Please have a mesh head and body and be as active as you possibly can. I'm not saying you have to be on 24/7, just try to make some time for me and the family. (We all need a break occasionally, I get it.) **I really need a loving, understanding husband that can help with the kids, especially when I'm not available. ** (I would love to be able to have our own wedding together, etc.) I'm looking for people who strictly role play and try not to bring real life into the situation, please! I do not care what you do off sim, or IRL as long as you do not cause any drama or other problems. Also, have a little humor lol! Let loose and have fun with it! We'll all goof around and mess up sometimes, so please don't be afraid of doing that. 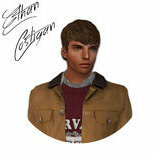 If you're interested, please reply or IM me on second life @CoralineCyrado I don't bite, I promise! Anyways, here's a pic of my avi if you're curious... We can meet up and chat to see if this is the right fit for us as well. Anyways, thank you! Hi new to seeking out other rpers this way but a new sim opening has led me to seek out individuals for family roleplay of a prominent corellian family the name being one from cannon. Seeking individuals willing to roleplay older characters for new sim corellia opening to play grandparents, cousins, or other older family members. Must be willing to play members of the green jedi, and or CorSec. And of course be corellians. If not playing direct grandparents any profession allowed. Please contact if interested and I'll fill you in on the family details thanks. FIRE, FIRE, WHERE'S THE FIRE CHIEF? The Fire Chief got old and retired, now the fire department is up in the air wondering who will step in to take that position. It could be you!! To apply just come over to Cocoa Bay and ask for me! Lucy Salvatore (JocastaNight) Your Limo awaits http://maps.secondlife.com/secondlife/Davan/227/233/21 At Cocoa Bay we have the amenities that one could only dream of! many types of businesses including a bowling alley, an orchard, restaurants, clothing stores, a gym, and much much more. We have a bank that uses Cocoa Cash (a credit card you use to purchase items) We provide our residents to get a free copy of the life2 hud and experience what it's like to experience the real life if they want! Did someone just call me? We have phones too!! Are you looking to be involved in a family roleplay community where you can have a true calling and a purposeful RP? Tribeca Falls is a young and growing community that has expanded to 6 sims since February 1st! We are seeking the most qualified candidates for interviews for key positions within our community. Tribeca Falls prides itself on being a educated, but light RP group, and we expect the highest standards for those who wish to represent us. Candidates interested in positions should have the following skillsets: Organized No Excuse Leadership Attitude Ability To RP Using Emotes & Quotations PROPERLY Ability To Help Teach RP To Those Of Lesser Skill Team Oriented But Self Sufficient Multitasker RL & RP Experience Are Both A Plus Currently, the positions we are seeking for Tribeca Falls upper-rp management are: Currently the available roleplay (These Include Benefits & Pay Potential) positions to interview for are as follows… Firefighter Firefighters are on the front lines of keeping the community of Tribeca Falls safe from harm. Whether it’s fighting a brush fire, running into a burning building, or putting on an educational seminar, they are here for the community. Tribeca Falls is willing to train the right candidates who show motivation, teamwork, the ability to listen, and the desire to be the best RPer they can. Police Officer Police Officers are often the ones in harms way at a moments notice to protect their community. They are expected to be exemplary citizens capable of exquisite interpersonal communication and a law enforcement oriented mind. Tribeca Falls is willing to train the right candidates who show motivation, teamwork, the ability to listen, and the desire to be the best RPer they can. Nurse The nurse is a vital part of any medical facility. They are the doers who ensure that the patient is being cared for between operations and consultations with doctors. They provide a welcoming face and a helping hand to the community they take part in. Tribeca Falls is willing to train the right candidates who show motivation, teamwork, the ability to listen, and the desire to be the best RPer they can. Doctor (G.P., M.D.) The doctor is one of the keystones of keeping a community healthy. They provide services ranging from simple cold & cough remedy to advanced surgeries. This position requires a background in Medical RP, and the ability to clearly convey detailed RP. Dispatcher Dispatchers are a virtal piece of our RP in Tribeca Falls. They are the eyes and ears for our citizens and emergency responders. This person should be a good listener with strong and quick communication skills, as well as being knowledgeable about web programs to use our dispatch system. Specialty Sessions & Events Provider Are you a comedian? Do you have knowledge about a certain SL viewer? Can you sing a tune, or spin a track? We’re always looking for citizens to come on board to help us create the most exciting and immersive community possible. So if you have a talent, and a desire to be part of a community and help it flourish, we want to hear from you! Teachers Are you excited to educate to people both for RP and practical purposes? Tribeca Falls Hornets is K-12 facility that is on the cutting edge of SL Schooling, and we are looking for qualified candidates to help educate our students! Real Estate Agent Are you great at communicating and overcoming objections? Then we have a wonderful opportunity for you. Come sell in a community that sells itself and earn commission on every sale. Be your own boss and make as much as you want, your earning potential is unlimited! Events Team Do you love being a host/hostess? How about DJing? Are you great with people and know how to liven up a party or event? Then we're looking for you! 100% tips and other benefits available for qualified candidates! Minister Tribeca Falls Chapel is seeking a full time minister to provide regular church services to our non-denominational church. Many benefits and a wonderful community of RPers who are looking for someone to fill this role for us! Mechanic Are you a wrench monkey in the real world, or have you always wanted to be one? If you have the knowledge to RP as a mechanic, we are looking for you! Contact us today! Insurance Claim Inspector Are you good at RPing specific events? Would you be interested in working a unique RP position that allows for lots of interaction? Contact us today about this position! Receptionist/Administrative Assistants Are you excellent at multi-tasking, handling multiple projects and personalities, and clearly communicating to get a job done? Do you excel at working on your own and as part of a team? Then we're looking for you! Contact us today! *Please note that all RP work positions offered through the community of Tribeca require either A) A residence on a community sim, or B) A PO Box. A PO Box is purchased at our local post office for 200L/month, and you can pay for as few or as many months as you’d like at a time. (This policy is to ensure that the people who take part in the roleplay here have a vested interest in the community and want to help it succeed, just as the community is providing them with the job position and the opportunity to have amazing RPs! )* For more information, contact Vehkst OR ZeFenrir Resident in game, or stop by at Tribeca Falls, Axton County!